We have finally reached Easter weekend and as the vernal equinox predected, Passover and Easter celebrations will not coincide. Each tradition still remains separate, even though it was meant for the two days to collide. Allow me to teach it before I preach it! Passover began in Exodus 12 when Moses gave instructions as the last and final god of Egypt was to be defeated. This idol was supposed to protect the royal family and the Lord’s last plague was designed to destroy the first-born of everything. Pharoah was told by his spiritual counsel that his family was safe. Moses’ instructions were given so that death would “pass over” the obedient children of Israel. He was right. 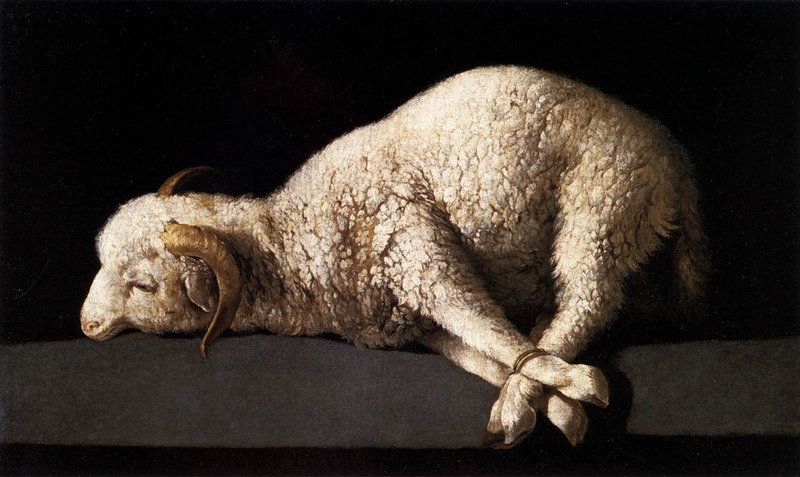 This first born lamb or goat was to be killed in the evening and a fellowship meal shared with family and friends. Never had death targeted a group of people before. You see death had no bias until this time. Death had spread from Adam to Moses after the sin in the garden and was not a respecter of persons. Passover is still celebrated to remember the grace and mercy shown by God to his people. Easter is a holiday that is supposed to mirror the Passover in the celebration of the resurrection. It is within Easter that the resurrection becomes the catalyst to remember the grace and mercy shown by God to his people. In both the Passover and Easter, God’s people are granted life and with the favor from God it is truly an abundant life. In each case God saved his people from a condition that they could not save themselves from. Dear reader, can you relate to being placed in a position that you have no control over? A condition that you just have to take because there is nothing you can do about it anyway. dead, yet shall he live: And whosoever liveth and believeth in me shall never die. Believest thou this?” Her response fell just short of a yay. It didn’t register to her exactly what he meant by saying he was the resurrection. So Martha simply said that she believed he was the son of God and that he was the one who was to come into the world. It is with Martha’s statement that you can see where her faith stopped. She could not process Jesus’ statement so she went as far as her faith would take her. Basically, she would say to Jesus that the word on the street is that you say you are the son of God, but what does that mean as I grieve my brother? You see, if Martha believed that Jesus could truly help this situation, then we would have had a more definitive statement from her. Martha is where many of us are at today. We struggle with our belief. We have a hard time believing beyond our eyes. We in our little minds have limited God in our lives and have reduced his work to what we can imagine or see. The Lord showed them something that day that they would never forget. He walked in to an uncontrollable situation and controlled it. He walk into impossibility and made it possible. He walked into hopelessness and gave it hope. He met unbelief at it’s strongest point and turned it into belief. I hope, dear reader, you will revisit John 11 and see this unfold for yourself. Jesus made sure the world would know that the Father in heaven sent him, by doing something that only the Father could have orchestrated. He brought Lazarus back to life without breaking a sweat. With this one act he gave us a model of our very own salvation. We will all be saved by grace through faith in Christ Jesus and we will all have to answer the question as to whether or not we believe that Jesus is the giver of Eternal Life. Passover and Easter are our witnesses and we must now act. Do YOU believe this? Next Post Bye, bye guilt! I just loved every bit of it!! It really makes things clearer!! Amen sister and thanks for the comments! Learning is always the goal! It is the only way transformation takes place! Be blessed! This is good teaching, Pastor Mayberry! I really learned something!! We are to walk by faith, NOT by sight….I think of Joshua and the Israelites, when the Gibeonites (Joshua 9) wanted to deceive the Israelites into making a treaty with them….By SIGHT, the Gibeonites looked liked they had traveled from a far, far place, but actually they were a close neighbors…..Joshua saw, but didn’t seek God will on the matter and he acted on what SIGHT, not FAITH…..